A team of entrepreneurial young people from three secondary schools in South Ayrshire (Prestwick Academy, Marr College and Queen Margaret Academy) battled it out at the finals of the Sir Tom Hunter Challenge last week. The finals held in Kilmarnock were an opportunity for nine teams, three from each Ayrshire authority to present their innovative business ideas to Sir Tom and his panel of judges. 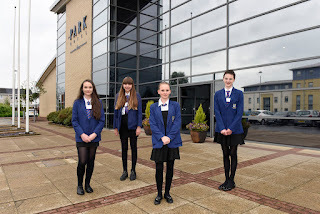 The team from Prestwick Academy (pictured above) were delighted when they came joint third with their idea Thermoband. This unique wristband uses body heat to create electricity which is then stored and can be used to charge smartphones. The three students impressed with the depth of their product research and Sir Tom said they were the best prepared when it came to questions from the judging panel. The team also scooped £1,000 to help develop their idea. Young people from Marr College and Queen Margaret Academy also did themselves and their school proud. ‘Make-Me-Up, Shake-Me-Up’ was the business idea presented by students (pictured above) from Queen Margaret Academy who have developed an app and customised tablet stand to demonstrate make-up techniques. Inserting the tablet into the stand turns the tablet into a mirror using the inbuilt camera and the app then shows users how to apply their make-up. 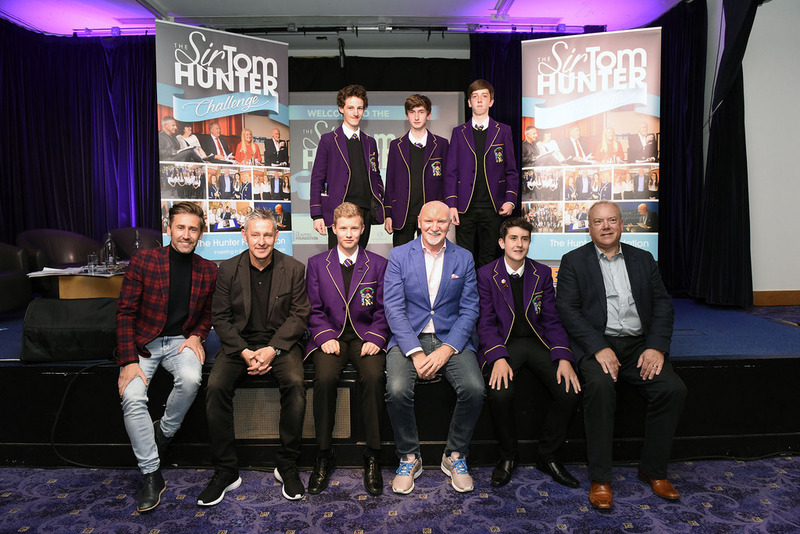 The judges were impressed with the number of ways the product could make a profit for the team, although Sir Tom conceded he may not be the target market. The team of five (pictured above) from Marr College introduced ‘Solar Net’, an idea which uses solar panels to automatically open and close blinds. The solar blinds can also be operated via a timer. The judges were impressed with the well thought out concept and loved the potential of the product which could be used in buildings such as hospitals. IT manager at Solar Net, Mark Howard (15) said "It was an amazing night and a great experience. 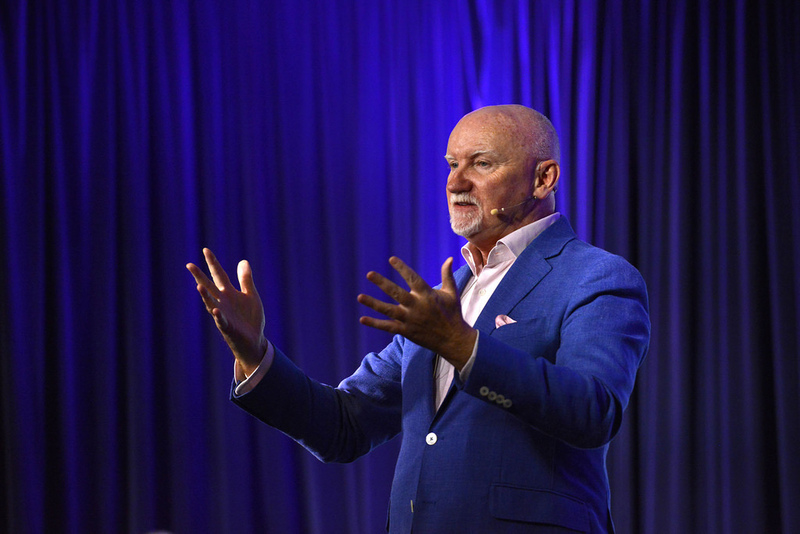 The talks at the start were very interesting and inspiring"
The Sir Tom Hunter Challenge promotes entrepreneurship and economic awareness in young people. As well as fitting in with the school curriculum, the challenge promotes the development of key skills in communication and teamwork. 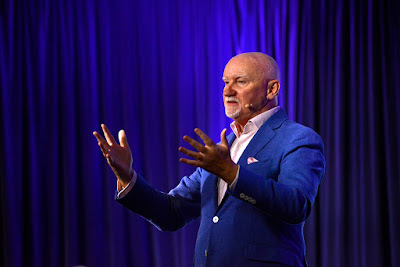 Sir Tom Hunter, entrepreneur and philanthropist (pictured above) said: ”This schools competition is about preparing our young people both for the world of work and in creating their own work, their own businesses, giving them the confidence and motivation to do so. Why? Because 100% of the net new jobs in our economy will come from businesses less than five years old and, as importantly, around half of the young people in primary school today will go to jobs not yet created! We need to do all we can to help our educators support our young people in a highly dynamic and changing economy, educating them for the future world of work. 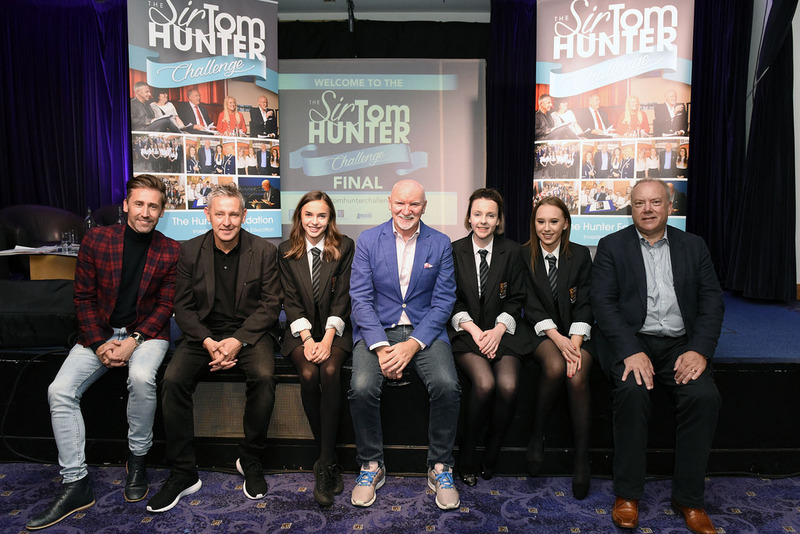 "The Ayrshire schools taking part were a huge inspiration and should be roundly congratulated, as should the teachers and Councils supporting them. The ideas the teams came up with, the teamwork they put in, the opportunities they identified, all contributed to an exceptional outcome. These young people can and will succeed either in the world of work or in building their own entrepreneurial workforce. Ayrshire schools - a true inspiration for all of Scotland."